Read the latest news from Northwestern University Feinberg School of Medicine’s Ken & Ruth Davee Department of Neurology below. Congratulations to neurology residents George Culler, Alexa King, and Isaac Bourgeois for being selected as members of the Feinberg chapter of the Gold Humanism Honor Society. The Gold Humanism Honor Society (GHHS) recognizes students, residents and faculty who are exemplars of compassionate patient care and who serve as role models, mentors, and leaders in medicine. GHHS members are peer nominated and are the ones that others say they want taking care of their own family. Congratulations to Dr. Richard Bernstein on receiving the Northwestern Medicine Distinguished Physician in Vascular Neurology Award. Philanthropic contributions to the Distinguished Physician in Vascular Neurology Award are making it possible for Dr. Bernstein to continue to deliver outstanding, leading-edge stroke care and to further advance vital research in the Division of Stroke & Neuro-critical Care. Jeffrey Savas, PhD, assistant professor of Neurology in the Division of Behavioral Neurology, was a co-author of a recent study published in Science, on the discovery of the physiological function of APP, a protein long known to play a role in Alzheimer’s Disease but whose normal function had remained elusive. The findings deepen understanding of Alzheimer’s pathology, as well as provide a potential novel therapeutic target for a number of neurological diseases. See the story on Feinberg's News Center. Dr. Katherine Carroll, Assistant Professor of Neurology, leads the newly opened Comprehensive Headache Center at Northwestern Memorial Hospital. The goal of the center is to keep migraines out of the emergency room and treat complex headache conditions more effectively. Click here for the link to the Crain's Chicago Business article. Check out the Northwestern Medicine podcasts featuring Department of Neurology faculty: Dr. Cindy Zadikoff, Dr. Danny Bega, Dr. Priya Kumthekar, and Dr. Carolyn Bevan. Dr. Christina Zelano, Assistant Professor of Neurology, appears on Science Friday to discuss how our smell is linked to memory. A new study by Marc Slutzky, associate professor of neurology, has uncovered the secrets of how the brain controls speech and could help in the development of a brain machine interface (BMI). Gemma L. Carvill, PhD, assistant professor of neurology, received the prestigious National Institutes of Health (NIH) Director’s New Innovator Award. This award supports unusually innovative research from early career investigators who are within 10 years of their final degree or clinical residency and have not yet received a research project grant or equivalent NIH grant. Neuroscientist, professor and artist, Dr. Hande Ozdinler, was featured in Chicago Woman to discuss how she brings together her love for both the arts and science. In a study published in Nature Neuroscience, Rajeshwar Awatramani, PhD, associate professor in the Ken and Ruth Davee Department of Neurology and Jean-Francois Poulin, PhD, demonstrated that subtypes of dopamine neurons have distinct projection patterns — findings that may be critical to understanding the cells’ role in a range of neuropsychiatric disorders, and eventually developing more targeted therapies. Check out this article from the Northwestern Medicine magazine featuring Dr. Robert Kalb! For the first time, scientists were able to specifically change the way the brain’s memory centers form new memories, according to a new Northwestern Medicine study by Joel Voss, PhD, associate professor of Medical Social Sciences and in the Ken and Ruth Davee Department of Neurology, Stephen VanHaerents, MD, assistant professor in the Ken and Ruth Davee Department of Neurology, Division of Neurophysiology/Epilepsy, Aneesha Nilakantan, Molly Hermiller and Robert Palumbo. For information and to register online, click here. Northwestern has long been on the forefront of studying the causes of amyotrophic lateral sclerosis (ALS or Lou Gehrig's disease) and treating patients with the disease. Robert Kalb, MD, is optimistic that more breakthroughs in the basic biology of the disease are on the way and a cure is possible. Northwestern Medicine scientists have discovered that some neurons affected by amyotrophic lateral sclerosis (ALS) display hypo-excitability, using a new method to measure electrical activity in cells, according to a study published in Stem Cell Reports. Click here for the Feinberg News Center article. Join us for the 7th Annual Les Turner Symposium on ALS and NeuroRepair: Celebrating Research, Patient Care, and Education. This one day event will take place on Monday, November 6, 2017, between 8 a.m. and 4 p.m. This event is sponsored by the Les Turner ALS Research and Patient Center at Northwestern Medicine. Contact Pembe Hande Ozdinler, PhD, via email or Suzanne Pressler via email or at 312-503-3936 for more information about the event. Click here for the link to this NPR story. 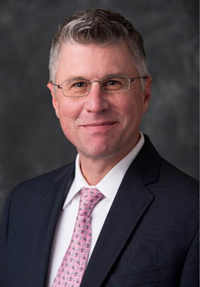 "Robert Kalb, MD, has been named the inaugural director of the Les Turner ALS Research and Patient Center at Northwestern Medicine and chief of Neuromuscular Medicine in the Ken & Ruth Davee Department of Neurology." "A multi-organization team of scientists has discovered a novel mechanism for how a gene mutation leads to the death of neurons in amyotrophic lateral sclerosis (ALS) and the related disease frontotemporal dementia (FTD), findings which could inform the development of new treatments." Northwestern Medicine scientists have identified a toxic cascade that leads to neuronal degeneration in patients with Parkinson’s disease (PD), findings published in the journal Science. Click here for the article in the Daily Mail. The Michael J. Fox Foundation has announced the approval of a clinical trial to be led by Dr. Tanya Simuni. Click here for the article in the National Post. As of yesterday, Dr. Roger Stupp's landmark 2005 NEJM publication, regarding outcomes and predictive markers for GBM patient response to radiation + temozolomide therapy, reached the 10,000 citation mark. Featuring: Phyllis Zee, MD, PhD, director of the Sleep Disorders Center at Northwestern Memorial Hospital *Please email nmnews@nm.org if you are unable to access the article and would like a PDF version sent to your inbox. The research of Christina Zelano, PhD, and Jay Gottfried, MD, PhD, has been featured in Northwestern News among many other news websites, including New York Magazine, Health.com, and Science Daily.